We in public relations do a lot of writing. Sometimes, that writing is on behalf of someone else so the session The Real Art & Economics of Ghostwriting – featuring NYT best-selling author/celebrity ghostwriter Joni Rodgers – sounded like it could provide some good insights on how to become a better ghostwriter. Important to note that the session was focused on ghostwriting of books which isn’t something that generally falls into the scope of a PR person but the trials and tribulations of nailing someone else’s voice, establishing efficient processes and creation of content people care about are the same, no matter the output. One thing that struck me about Joni was her caring, motherly nature. Driven in part by her sharing the stage with her daughter and business partner, Jerusha Rodgers, but also by the genuine compassion she demonstrated for the clients she has collaborated with. They talked a lot about the concept of humility and abandonment and that you must be completely comfortable with not being the sage on the stage to find happiness in ghostwriting. This concept also wasn’t lost on me as it relates to PR – often we’re the people working hard behind-the-scenes to shine a light on our clients. Joni’s first piece of advice to budding ghostwriters was to write a book yourself first so you fully understand the process. The second alluded to flexibility and working with your client on their terms – ensuring they’re in their natural habitat to maximize creativity and a good working relationship. Jerusha talked about a strong agreement upfront behaving like a moat: of course there is a bridge but the water provides a barrier, allowing you to control the process and stay safe. Storytelling ability. 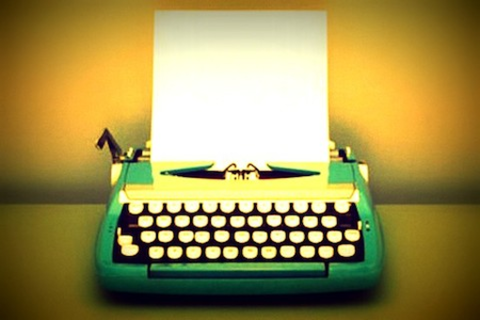 Can the person tell a story? Style compatibility. Many partnerships fall apart because of a mismatch of style, not personality. Do they have the skill to turn out a feasible project? The last bit I wanted to touch on is Joni’s commentary around content. She pointed out that it’s easy to fall in love with someone’s “story” but that doesn’t necessarily make for a riveting book. Asking what is the point of telling the story, why will people care, why will they care right now and what the larger meaning is all help in the decision-making process. The decision on format – the use of flashbacks, vignettes, etc. – is also key to helping structure the project. All questions us PR folk ask every day when it comes to pitching the media and indeed, in the creation of thought leadership content on behalf of our clients. DGC is officially on the ground at this year’s SXSW Interactive and it’s already been a busy couple of days of meetings, sessions, music, client catchups, reporter briefings and of course, parties. My topline takeaway so far (and I’m not tapped into whether official attendance levels are down from years past) is that the whole experience feels much more manageable this year. Privacy is front-and-center: There’s been a lot of talk about privacy, being driven in part by the industry’s focus on personalization and data but also controversial and heavily promoted feature presentations from Julian Assange (hosted by The Barbarian Group) and Edward Snowden (a discussion between Snowden and Christopher Soghoian, the American Civil Liberties Union’s principal technologist) who skirted U.S. law by engaging in their discussions virtually. As we’ve seen in many recent industry conferences, people are talking a lot about privacy but are playing it safe- they’re saying it’s important but are talking less about how to navigate it and statements seem almost circular. Be there, but be smart about it: We’re seeing less of the enormous, splashy brand presences than in year’s past (like the three-house Google Village in Rainey Street from SXSWi 2012.) Notably, Foursquare turned their decision to not have an official presence at this year’s SXSWi into PR by responding to Adweek’s Chris Heine and the WSJ reported Snapchat and WhatsApp would be no-shows. There are certainly branded “houses” encouraging punters to experience a company’s brand such as Funny or Die’s takeover of Lustre Pearl, Yahoo’s space at Brazos Grill and AT&T’s The Mobile Movement activation but they all feel very sensible and experiential vs. going for enormous scale and pure stunt value. Where is the wearable? Lots of chatter about wearable technology and its potential but on the whole it’s been tell, not show. Perhaps that will change once the exhibition hall opens but there’s been fewer sightings of Google Glassers than we expected. The question remains: is wearable still ahead of its time? You can make, but can you run a business? There have been a lot of sessions focusing on corporate culture, operations and staying happy. SXSWi is a conference with an eye firmly on innovation, creating and making but the convergence of the startup world and general business seems to be driving more discussion around “staying power” and how to run a company efficiently with an eye on the long term. It feels like a natural exchange of expertise: startups are teaching corporations to be more agile and corporations are teaching entrepreneurs the benefits of a little structure and direction for lasting success. Shhhh: This observation could go in two directions – 1) people trying desperately to escape the crowds and quieten the noise and 2) apps like Secret and Whisper helping people create inner circles. Avoid Humans, an app that utilizes Foursquare data created by Austin-based GSD&M, is indicative of the former as attendees (and locals) try desperately to create pockets of zen amongst the chaos. The latter is an extension of the trend behind Google+, Path, and the like: Intimacy is key and the smaller meetings, discussions and events are the ones people are really valuing. We’ll be sharing some outtakes of some of the most interesting sessions and activations we’ve been seeing in the coming days, so stay tuned! SXSW isn’t just for music, tech and movies. In the last four years, it has increasingly become a hotbed of marketing and communication activities with big brands spending big dollars. This year was no different – there were dazzling parties, free swag, and utility-based activations like Oreo-branded pedicabs. Many brands had a memorable impact. But as we reflected on our experience at SXSWi 2013, we were surprised that our standout marketing moment happened miles away from the action downtown, in the back of an Austin cab en route to the airport. Outside of our hotel we flagged down a cab, and the driver, Bob, told us he was on his way to pick up someone also going to the airport and that we could share the ride if we wanted to. “Sure!” we said. A huge favor from Bob. After a few minutes of listening to the music playing in the cab, we inquired about the artist. Bob gave us both a copy of Josh’s CD, on the condition that we like Josh’s Facebook page and comment on his wall to let Josh know we received it from Bob. We’d heard enough of the music to decide that Josh deserved a “like,” and did so right there in the cab as we were chatting. Bob handed us a business card so we could credit his name correctly and before we knew it, we had followed Bob on Twitter and were chatting about his blog, “Confessions of an Austin Cabbie” and his personal Twitter strategy. The beauty of this moment was that Bob let us discover the music he was playing in the cab. He didn’t push it, he just played it and let us decide for ourselves whether or not we liked it. With a simple word-of-mouth recommendation, Bob earned our social currency and this column space on The Hit Board. He also helped PR his buddy Josh (not a paid arrangement) in the process. It speaks to a trend many SXSW attendees noticed – the need for a more personal touch in an always-on digital world. As we neared the airport, Bob pointed out that it was hard for him to see out of the back window because it was covered with a big white sticker – some kind of outdoor branding. Which company had paid good money for this window space? Who knows? We certainly didn’t notice – or care. The real “cab-vertising” moment happened inside the car. Signing off for this year! I’ve long been a fan of Tim Ferriss, best-selling author of the 4-Hour Work Week and arguably one of the world’s most effective men and if you’re introduced by Hugh Forrest the Director of SXSWi, I’m thinking you’re kind of a big deal. Ferriss’ tenacity is infectious and I find that he’s one of these speakers that sends you off to think hard about how much time you waste and what you could achieve if you found better, faster ways to do things. His 4-Hour ethos is about accelerated learning for accelerated times. He applies a theory of DiSSS (Deconstruction, Selection, Sequence + Stakes – outlined further in “What You Can Learn From Author Tim Ferriss, the Four-Hour Marketer” by Ad Age’s Steve Rubel) to all of the goals he wants to achieve. Central to his philosophy is questioning: What if I did the opposite of best practices? What if I did this task in reverse? The worst time to learn a skill is when you really have to use it. Pressure is not your friend when picking up something new. Cute factoid: Before his first appearance at SXSW many years ago, Ferriss focused on max’ing his on-stage energy to keep audiences engaged by practicing in his friend’s garage in front of his three Chihuahuas. If his energy dropped, the Chihuahuas walked away (or worse, went to sleep). No-one can say this man isn’t dedicated to a high standard of quality. I have found PR to be one of those professions where being effective gives you the thinking time to bring strategic value to your clients and most importantly to achieve a work/life balance that bears the gift of clarity (and sanity!). A 4-hour work week maybe not, but even adding a zero would land us PR folk in a pretty great place. You should also check out Tim’s promo video for his new book, the 4-Hour Chef. Not only is it a slick piece of content, it synthesizes the 4-Hour Ethos, whether you’re looking to learn how to cook, learn a language or learn how to be. What’s the reward for getting up early for my first SXSW Salon? A free mimosa and a pair of bright orange sunglasses. Oh, and GEEKSTA PARADISE: The Ballers of Uber, Airbnb + Github. First up, Dave McClure (of 500 Startups) sat on the stage with Uber CEO Travis Kalanick and the overarching theme of their chat was innovating in the face of strict legislation. Many startups are born of the desire to solve a problem and Uber is no different – the company coins itself as the future of transportation. They’re currently active in 28 cities and although they’re a darling of the tech startup scene they’re not so popular with local governments and cabbies, having been accused of illegal taxicab operation. Kalanick cites the city’s resistance to embracing Uber as protecting an incumbent industry through anti-competitive measures. To launch Uber in Austin, the drivers have to charge 20 times the taxi rate. In Denver, the cars wouldn’t be allowed to operate downtown or charge by distance and Uber would have to own all the cars that provide the transportation – an unsustainable model. Kalanick was asked about Side Car which is regularly heralded as one of Uber’s low cost competitors and the message was the same: Side Car is Uber, but with unlicensed drivers. It keeps the cost down, but there’s certainly more controversy and the long-term sustainability is questionable. While he stated that there has to be a low cost Uber, it is at the mercy of the law. The philosophy of open source is the opposite innovation-crippling red tape and we’re hearing more and more about entrepreneurs having to engage a two pronged approach of being creative within legislative parameters, and lobbying to extend or even remove those parameters. Member numbers give weight to this lobbying, as does strategic PR that places your issue firmly on the public agenda. It’s nice to see the content extend outside downtown Austin with a livestream feed. You can catch the replay at The Lean Startup SXSW site or sift through the Salon’s Twitter hashtag for key takeaways. Follow Travis, follow Eric, follow Joe, follow Dave. 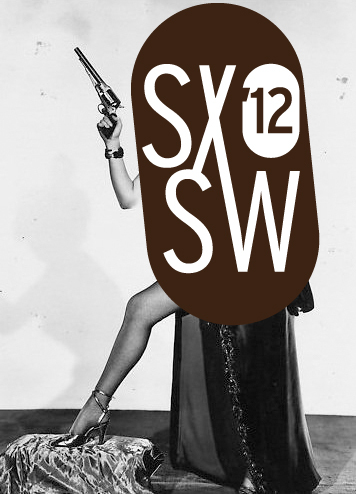 South by Southwest is finally upon us. We at DGC know that conference attendees have a hearty appetite for the latest and most innovative social media technologies. In fact, many of the social apps we all know and love were first introduced at SXSWi, including GroupMe, a group messaging app that later sold to Skype; Foursquare, a location-based social network; and even Twitter, just to name a few. If you’re not able to attend, there’s a new tool that can still put you at the heart of SXSWi’s social conversations without ever having to leave the comfort of your room. Say hello to Hey Big Fish, a new web app that helps identify the trends, people and topics that carry the most influence at a large event, like SXSWi. Hey Big Fish helps users discover the hottest topics, trending news and field experts by analyzing Twitter activity, measuring influence based on peer engagement and showcasing a ranking of people, topics and content in a simple dashboard. The app helps those at the conference too by finding people with whom to interact and allowing them to discover the topics and influencers that matter most to them. Use the platform to discover the most buzzed-about news in general or on specific topics of interest, such as Web design or big data. While Hey Big Fish is still in its infancy, we’re excited to see this app take off with a little earned media. Bottom line, use Hey Big Fish to join the conversation via any relevant SXSWi hashtag (#SXSW, #SXSWi, etc.) and track your influence—or your brand’s influence—at the event. You can bet we’ll be tracking DGC’s influence! Will you? Let us know in the comments below. Why? Both provided true value to even the most grizzled SXSW veterans. In Chevy’s case, its “Catch a Chevy” program gave those of us with barking dogs and a waning patience for expensive shuttle service a comfy ride to off-campus panels. 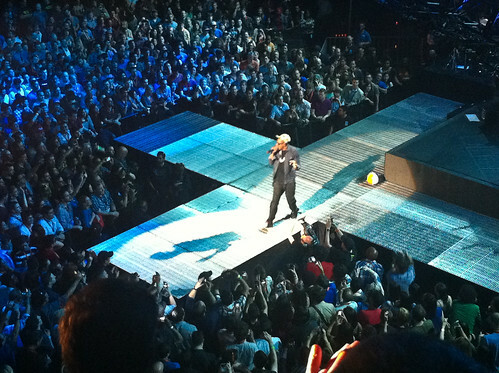 Amex’s promotion showed us that simply having an Amex and a willingness to Tweet on behalf of brands spells big rewards for cardholders – like exclusive tickets to a Jay-Z show. While two lucky DGC-ers were in line to see Jay in a 2,000-person venue, we heard more than one person say, “I’m so glad I have an Amex.” Now that’s brand loyalty. With Pinterest’s skyrocketing popularity, it’s not surprising that curation was one of the week’s “buzziest” terms. In the publishing world, the debate was about how to give credit where it’s due, to both authors and the curators themselves. For brands, the question is how to either become curators, or integrate seamlessly into a user’s curating experience. It will be interesting to see how that plays out in the future. Also big this year was talk of how advertising should embrace a tech start-up culture – the Mark Zuckerberg “move fast and break things” philosophy. This means less and less of “the big idea” and many more small, nimble ideas. As ad exec Tim Leake put it: advertising in these times is no longer about telling a story, but inspiring one, listening to the conversation about your brands and saying – to borrow terms from Leake’s improv background – “yes…and” to that idea. With all the foot traffic in downtown Austin, the restaurants were almost as hard to get into as the packed early morning marketing sessions (and they were packed this year – most had a one-in, one-out policy). 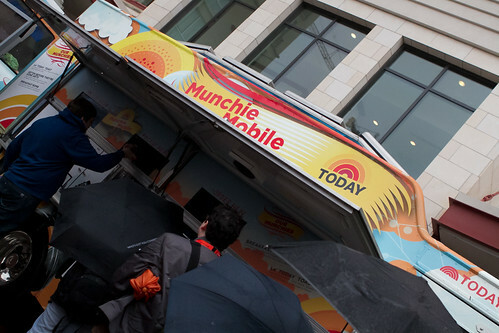 Branded Today Show trucks were serving up delicious breakfast from renowned chef Danny Meyer throughout the day and night. And Whole Foods was in the right place, at the right time, with the right vegan chickpea sandwich when one DGC-er almost had a hunger meltdown.